to die for kidnapping a woman, a court ruled yesterday. The State High Court, Uyo, Akwa Ibom State, presided over by Justice Joy Unwana, sentenced the convicts — three policemen, a woman and three others — to death by hanging. The woman was hired by the gang of kidnappers for N50,000, to cook for their victim, Deaconess Ime Anietie Ekanem, while they negotiated for ransom. 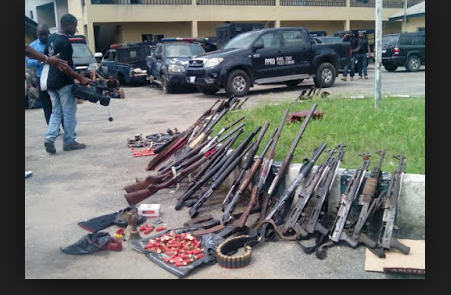 Cpl Emmanuel Charlie, Ekaette Edet Moses, Fidelis Emmanson Jeremiah, Cpl Bassey Sunday (377812), PC Mfon Bassey (478463), Ndu Okon Johnny, Unyime Edem Etukakpan and Itohowo Godwin Akpakwa. They were convicted on all three-count charges of conspiracy to commit felony, kidnapping, and concealing, aiding and sponsoring kidnapping. The eighth accused, Mrs. Akpakwa, in her statement which was admitted as exhibit, confessed to visiting her friend in a bar at Idakeyop Aka, where she gave the seventh accused, Etukakpan, money to buy medicine for his ill-health. Though Mrs. Akpakwa denied knowledge of the plot to kidnap her friend and neighbour, no fewer than three other members of the gang told the court that they did not know her name when she attended the final meeting at Aka. They insisted that she was the one who identified her friend and gave the direction to her house in Obio Etoi village, Uyo. It was learnt that the victim was dragged out of the Toyota Sienna car driven by her husband, in front of the family house at about 6.30pm and whisked away in a Volvo Wagon car to Afaha Udoeyop in Ibesikpo Asutan council area, where she was kept, under armed guards, in an isolated building pending agreement and payment of ransom. The anti-kidnapping unit of the State Criminal Investigation Department (SCID) swung into action as telephone negotiations between the kidnappers and the victim’s husband brought down the initial demand from more than N20 million to about N1.8 million to be paid in two installments. Security operatives of the SCID in mufti were shocked to discover that the first two persons who approached the Afaha Ibesikpo Market square venue for the ransom delivery were their colleagues. Shortly after the encounter, the change in venue for delivery of the ransom was relayed to the husband of the victim by phone. A police investigation report, it was gathered, indicated that after thrice changing the venue, the first installment of N800, 000 was delivered at Itam in another local government area. From the totality of evidence before the court, it was observed that the gang might have got away with the crime had the proceeds been shared equitably. It was also revealed that a disagreement in sharing the money led to friction. A member of the gang, who at the time of sharing was in Uyo Prison on a different criminal matter, returned home to discover that he had been short-changed. He then gave details of the plot and how it was carried out to the police, and later became the star witness for the state. 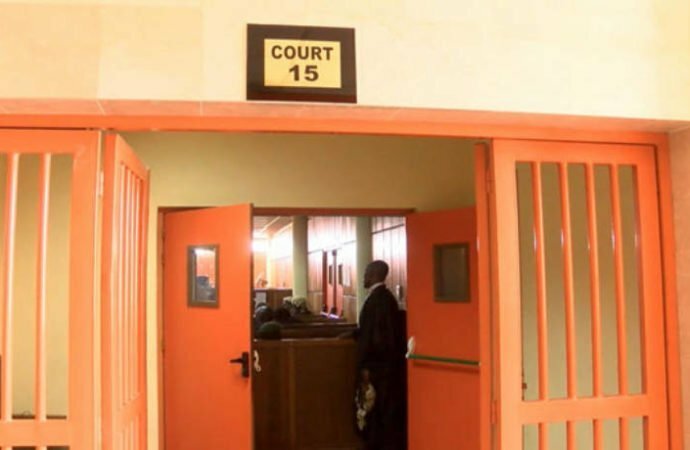 The eighth and the only accused who escaped the capital punishment, Mrs. Itohowo Akpakwa- a member of the staff of the University of Uyo, had earlier been granted bail.